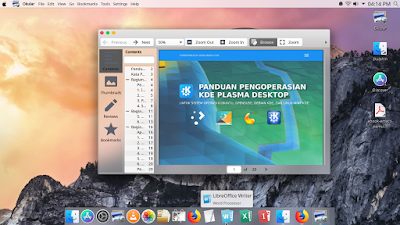 We can make Plasma desktop to look like macOS. 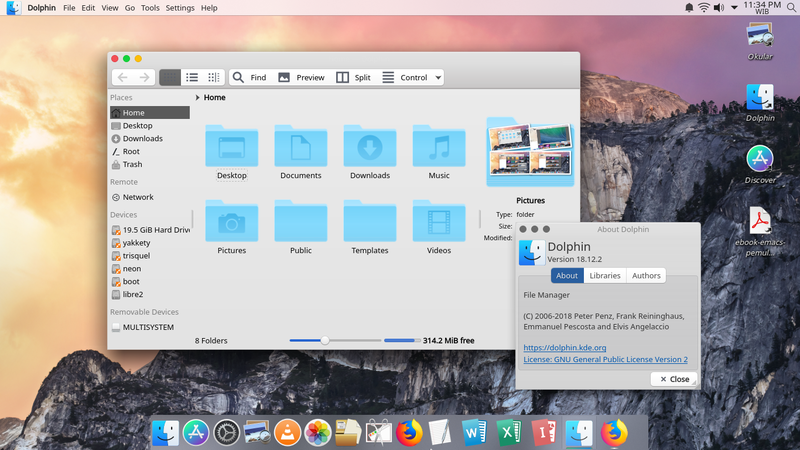 This tutorial uses Mojave-CT Theme Pack (including Aurorae, Plasma, Kvantum, and icon themes) as the I explain here the requirements and step by step instructions to configure everything. It is surprisingly easy, the steps are very clear, but it takes a bit long time to finish them all. 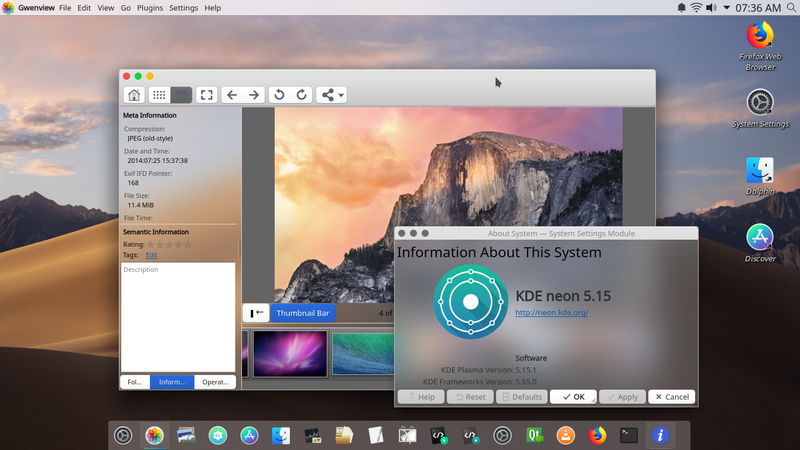 I hope this tutorial helps everybody to begin desktop customization hobby on GNU/Linux in general and KDE Plasma in particular. Have fun customizing! Yes, we will achieve final result like these. 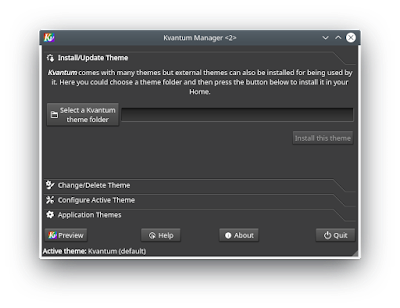 What you will do is to install Kvantum Manager program. It is a simple GUI to control many aspects of Qt toolkits. Second, download the Kvantum package (.zip) from Tsujan's GitHub and extract it to your Downloads directory. You will get a new directory name Kvantum-master. 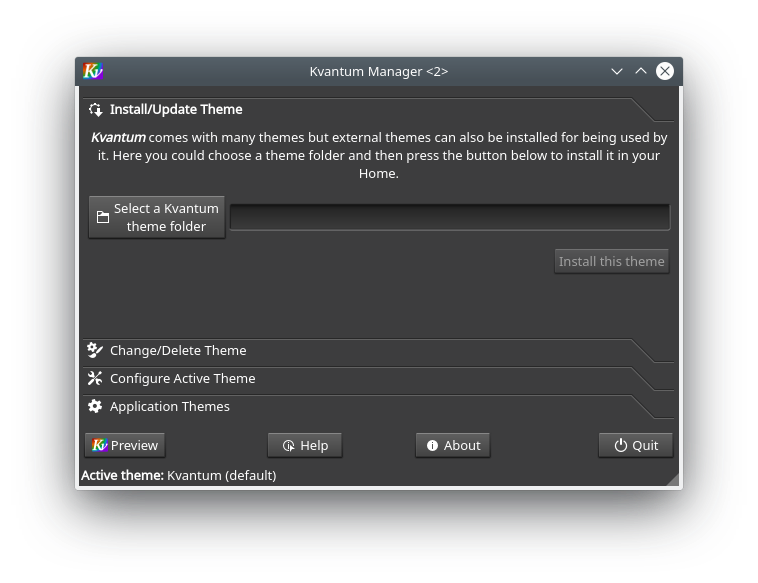 Finally, go to start menu and find Kvantum Manager. The 'AWB' is needed to show control buttons on top panel when a window is maximized. 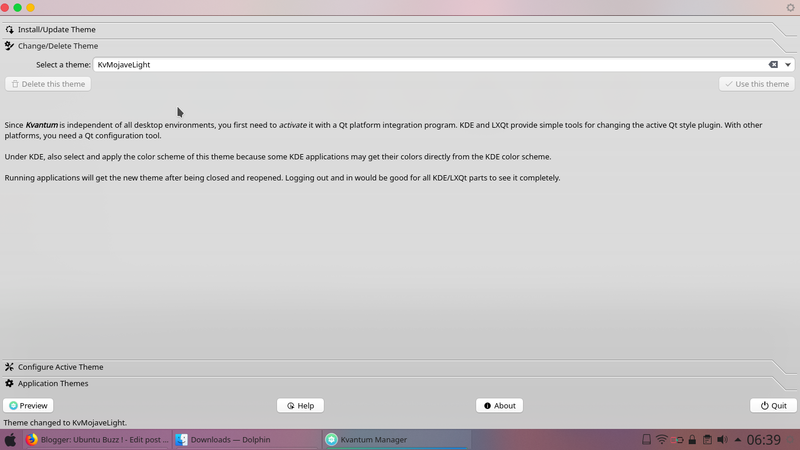 Download AWB at https://store.kde.org/p/1272871/ and extract it and you get a directory named applet-window-buttons-0.3. You will find in it a file named install.sh but don't touch it before doing these. 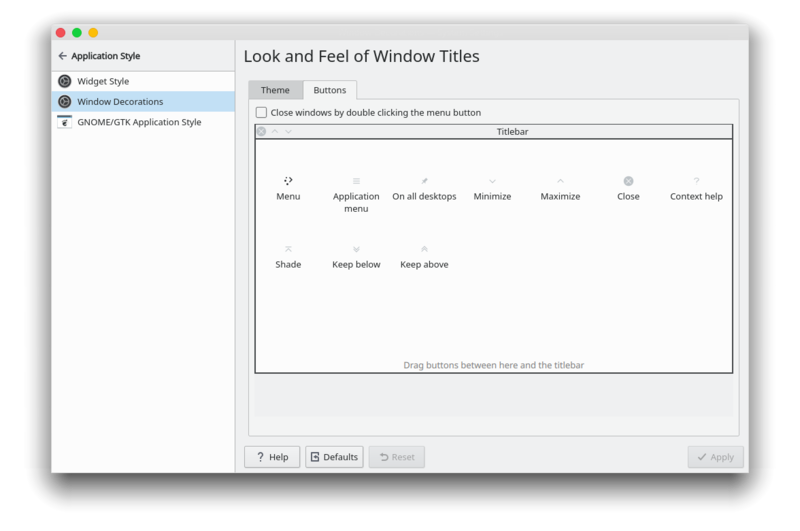 Finally, you will find the widget named "Window Buttons" on your widget selector. 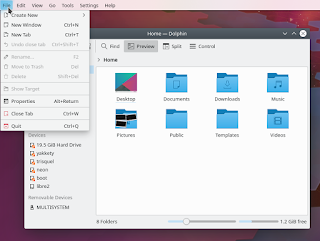 Create one top panel as Application Menu Panel. This will give you basic global menu panel. Add System Tray widget onto it. Add Digital Clock widget as well. Add Find widget on the most right. Delete default bottom panel and create a new one, shorter in length, centered in position. Put some application icons + add Icons-Only Task Manager widget. First obstacle is the hamburger button thing on one of corners. Its name is desktop toolbox. Hide it. 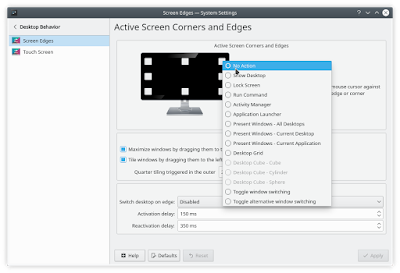 Right-click on desktop > Configure Desktop > Tweaks > uncheck desktop toolbox option > OK.
Second obstacle is the hot corner, when you push your pointer to an edge of screen suddenly all active windows got previewed in one screen. Disable it. 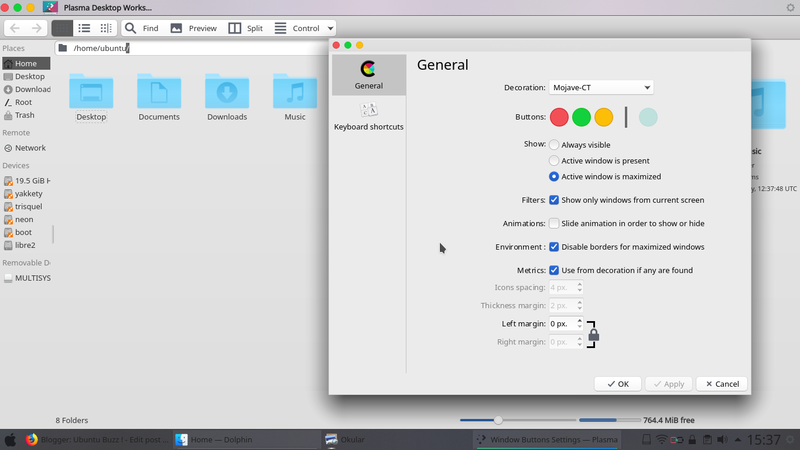 Go to System Settings > Desktop Behavior > Screen Edges > click the enabled corner > select No Action > OK.
Next, we need a Plasma Theme called "Mojave CT Plasma Theme". 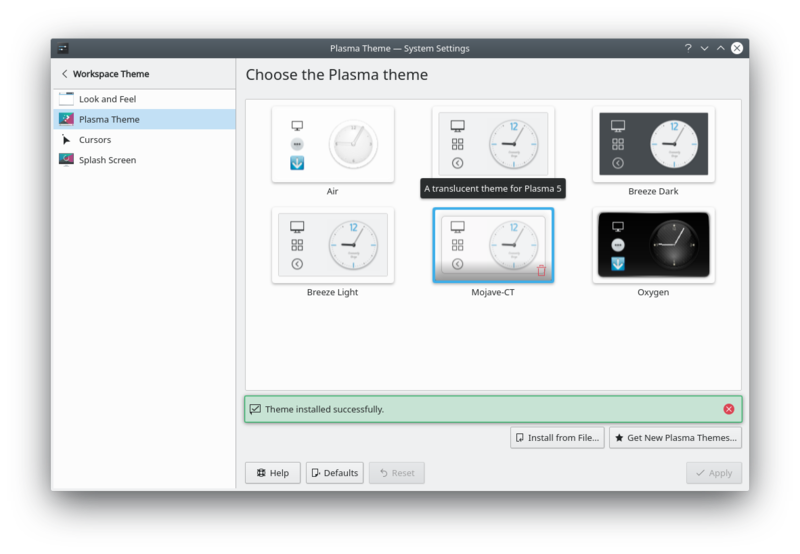 Download it from https://store.kde.org/p/1289021, and open it by clicking 'Install From File' button from System Settings > Workspace Theme > Plasma Theme. 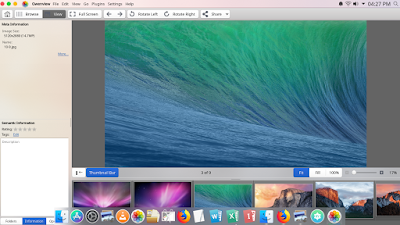 Enable it by selecting Mojave-CT and click OK.
Next, we need window decoration theme called Mojave-CT Aurorae Theme. Download it from https://store.kde.org/p/1288318. 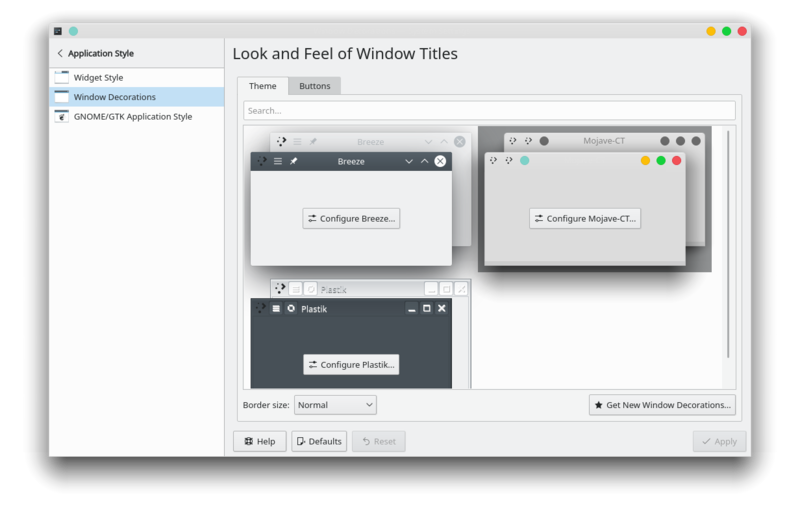 This window decoration theme is classified as "Aurorae Theme" as it uses Aurorae engine built-in KDE Plasma. Extract the .tar.gz file, and copy the folder into ~/.local/share/aurorae/themes/. 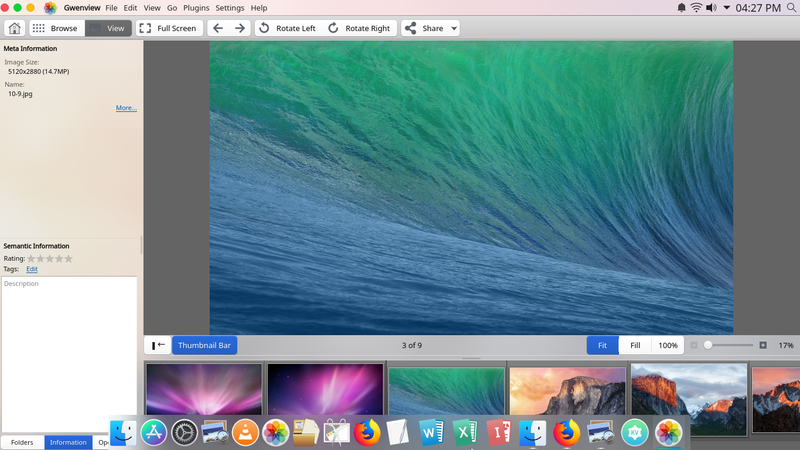 Enable Mojave CT from System Settings > Application Style > Window Decorations. Set the size to Normal. 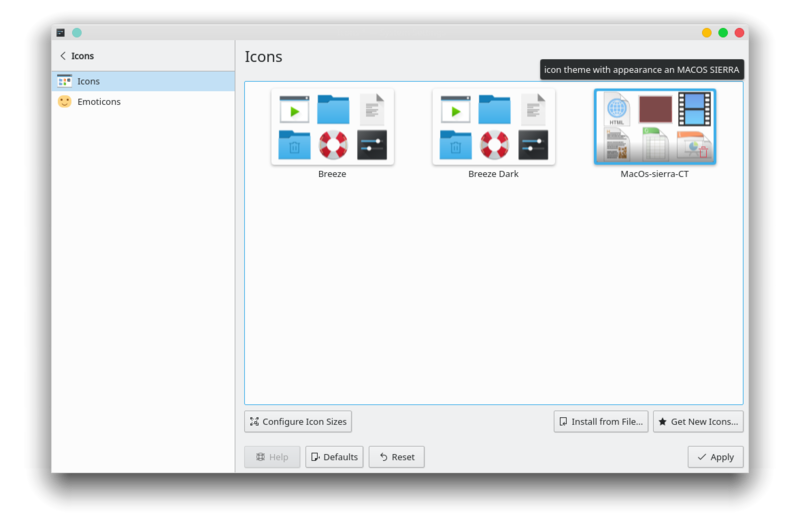 Next, we mostly need icon theme that looks like macOS. 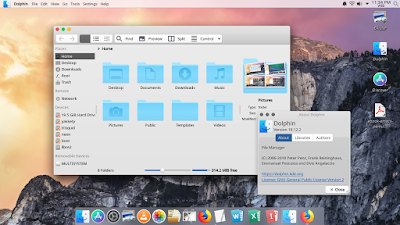 As we use macOS Mojave version as model here, then download the Mojave-CT Icon Theme from here https://store.kde.org/p/1210856/. 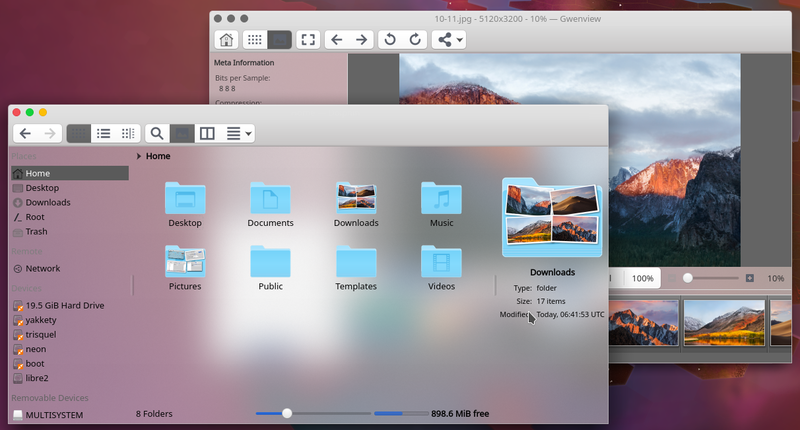 Extract the .tar.gz file, and copy the folder into ~/.local/share/icons/. Enable MacOs-sierra-CT from System Settings > Icons. 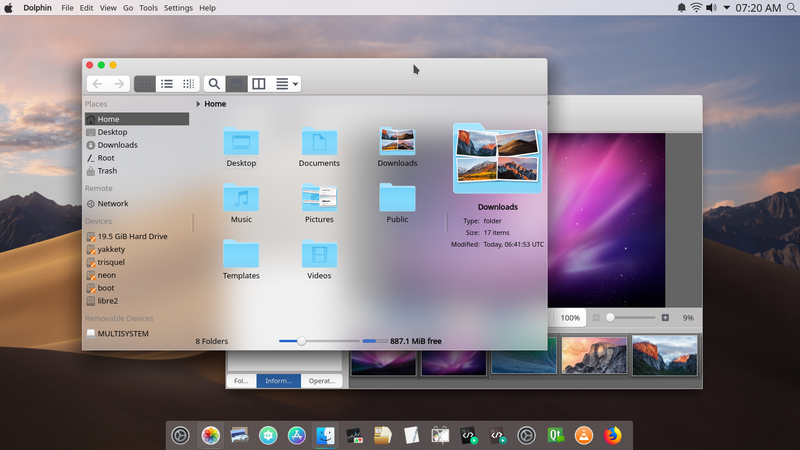 This is the most crucial part: we need to enable Mojave-CT Kvantum Theme to make all user interface toolkits look like macOS and translucent. 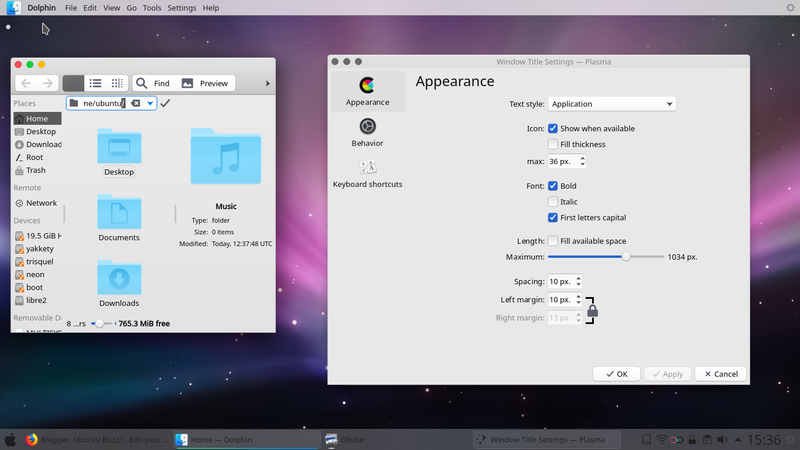 The theme in question is Mojave-CT Kvantum Theme, download it from https://store.kde.org/p/1288051. Extract it, and you get a directory named mojave. 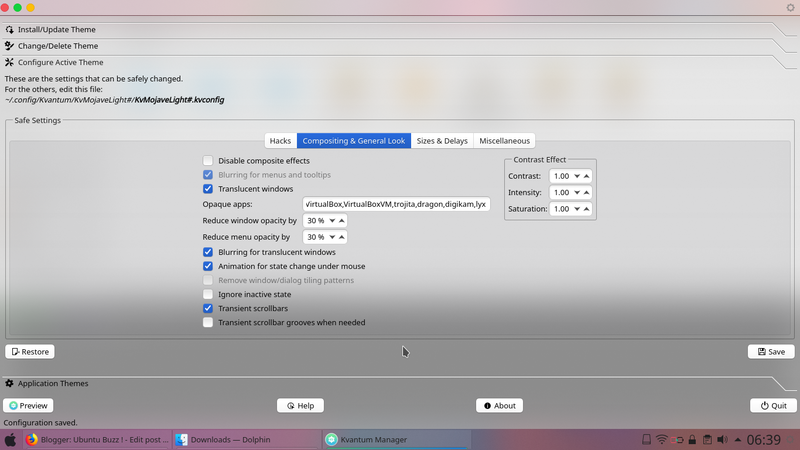 First, go to start menu > run Kvantum Manager > install theme > point it up to the extracted mojave directory > OK.
Second, still on Kvantum Manager, see Change Theme > select a theme > select mojave > select again MojaveLight > click use this theme. Third, still on Kvantum Manager, see Configure Active Theme > see Compositing ... > and give about 30% and 30% for both Reduce window/menu opacity > Save. Close Kvantum Manager window. 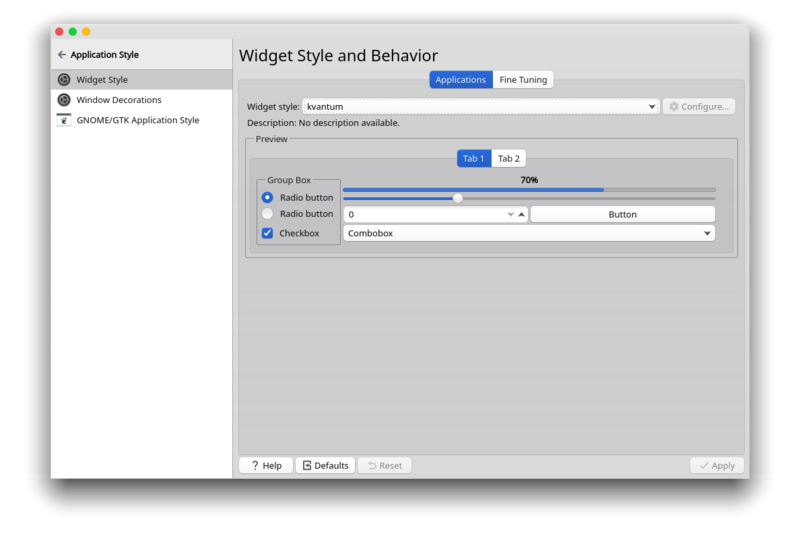 Fourth, now go to System Settings > Application Style > Widget Style > set Widget style: to be kvantum and Apply. Fifth, still on the Widget Style window, see Fine Tuning > set all options to No Text > Apply. You can download many wallpapers from sources like 512pixels or OSwallpapers. Load the wallpaper from right-click on desktop > Configure Desktop > Add Image > select a wallpaper file or more > enable it. 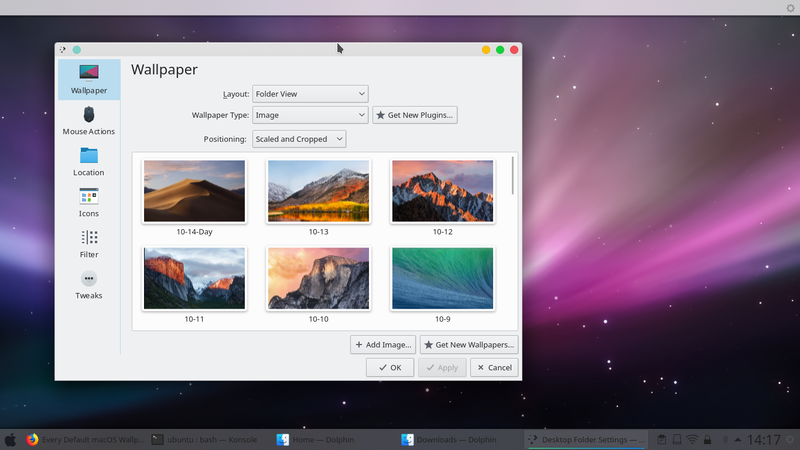 You see below as example I enabled Mac OS X Leopard version wallpaper. Fortunately, Plasma is a very customizable desktop. Go to System Settings > Application Style > Windows Decorations > Buttons. There, you can easily rearrange your window outer frame components arrangement, including, position of the control buttons (close, maximize, minimize). Simply drag-and-drop them from right to the left position. Drag other icons to bottom to hide them. Don't forget to add Spacer after the global menu widget so it won't "run" too far away from Window Title Applet. Bonus! Alternatively, if you don't like this widget, you can use instead Application Title widget. It's without app icon and somewhat simpler. Up to this point, when you maximize a window, the controls are still on the window's title bar and not joined onto top panel's global menu. It takes up more vertical space. After setting it up right away, you need to re-login to see the correct result. 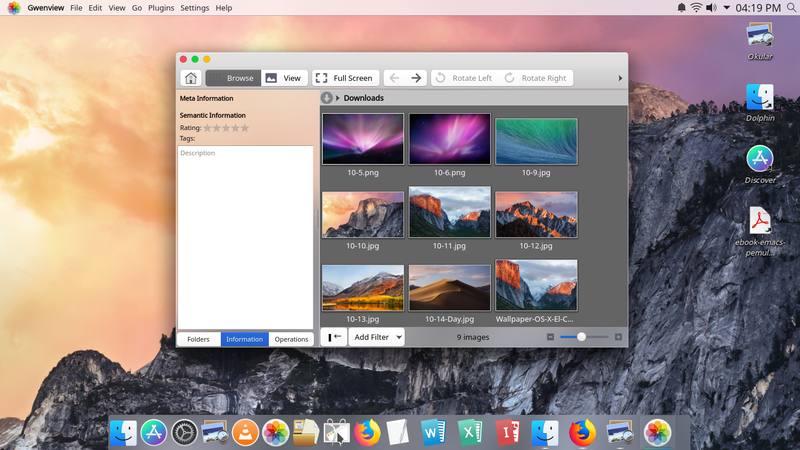 You may need some trials and errors up to this point so finally you can have desktop in full Mojave-CT style. Notice the icons on the toolbar now are "icons-only" and not with text. That's all. This tutorial is not perfect and I open the empty spaces for you to add and explore more. You can adjust, modify, reduce everything you like from this tutorial. I hope you find this tutorial fun and exciting. I hope this helps everybody especially in using Kvantum Manager on GNU/Linux. See you next time. Enjoy!